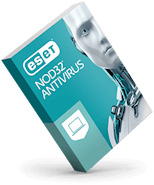 G2 Crowd has named ESET the "Best Endpoint Protection Suite." ESET Endpoint Security was the overall highest-ranked solution and our "G2 Satisfaction Score" was at least 20 percent higher than all other solutions. "In my opinion, there’s no comparison to the efficiency, effectiveness, tools and support that ESET provides." 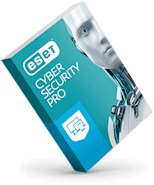 "The ESET product is effective, affordable and—best of all—the company’s support team is extremely knowledgeable and prompt.”"
Need assistance logging in? Call us. 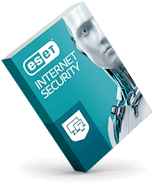 Our number one goal is to make working with ESET and achieving your business goals easy. The ESET partner program for resellers features a straightforward enrollment process, simple requirements and comprehensive sales support to help you win business and make a healthy margin. We’re here to help you sell and close deals! ESET values its partnerships so highly that we’re 100% channel focused for our business products. We make it easy for you to order and purchase online or by phone, and provide topnotch U.S.-based support. Take a look at our pricing structure—proof we’re serious about win/win relationships with our resellers. Plus, we offer volume incentive rebates (VIR) designed to enhance your profitability and a strong returning revenue stream. Product literature, online resources, webinars and more from our sales staff jumpstart your selling efforts. Generous co-marketing funds and customized marketing plans available. Address your customers’ regulatory, compliance or other issues with materials that demonstrate how you can solve them with cost-effective, easy to use solutions. Whether you need ESET knowledge yourself or need to pass it on to your customer, come up to speed fast on the essentials and dive as deep as you need. We look forward to a prosperous partnership! For more information, contact us by phone (619) 630-2484 or complete the partner application and our Partner Services team will be reach out to discuss your inquiry.